Here I am on day 4 of no kids in the house. And it feels like it’s been quiet for months. It’s not even that my guys are so loud (though they are sometimes), it’s just that there’s activity. Laughing. And please don’t get me wrong! Andrew and I are laughing – and we’re spending some great time together. It’s so odd, though, making plans and going out with no consideration of the kids. We have no kids! Not for 3 more weeks. They’re rooms are neat. Sheets changed. Bathroom mats and towels fresh. Laundry folded and put away. All I really need to do for them is write letters. Oh, and remember to mail them. So what will I do with all this time? I daydreamed about organizing my iPhotos. (I have thousands of pix.) Cleaning the address book on my computer. Categorizing my iTunes. Being crafty. What have I done so far? Worked. Relaxed outside. Watched The Voice final. Shared a really nice bottle of wine with Andrew. Burger night at Twist & Turn. Picked up veggies and fruit from our CSA. At this moment, I am giving myself permission to reduce my expectations for accomplishing anything (except work, of course) and use this time to unwind and enjoy my husband. And hoping to take a little just me time, too. Maybe this is good practice for the future. 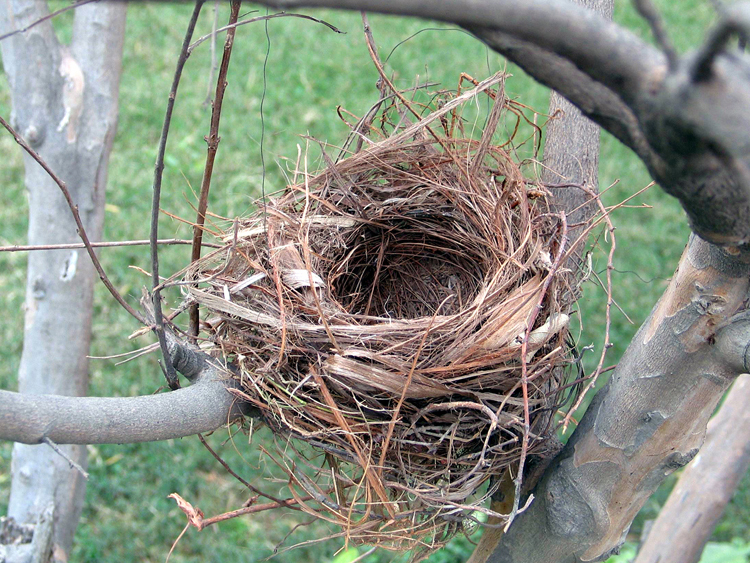 I will be a TRUE empty nester come mid August. Don’t know that we’ll be able to pull it off. 22 years of parenting….how does one turn that switch off? The nest may be empty, but the parenting never stops. And you won’t want it to. Thanks, Mom. I know you’re right!